The iPhone 6 seems to get nearer and nearer each week as Apple fanboys and other tech enthusiasts await an official reveal date with mounting anxiety, but the age of the iPhone 6 might finally be close at hand. A year’s worth of leaks, rumors, and theories regarding the iPhone 6 are finally about to be put to rest, thanks to sources who revealed this week exactly when we can expect Apple to reveal their next generation iPhone. 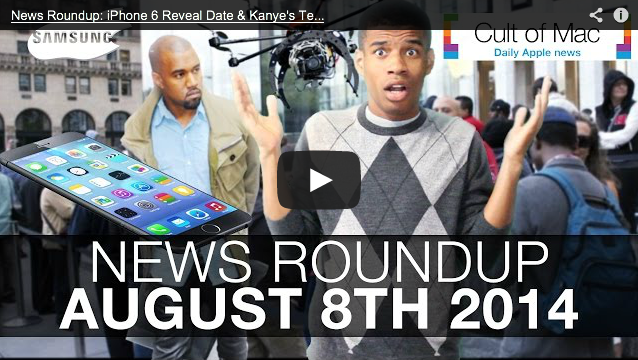 Watch today’s Cult of Mac news roundup for all the details on the rumored iPhone 6 keynote date, as well as iOS 8 beta 5 details, and even why one piece of technology has Kanye West filing lawsuits like his name’s Johnnie Cochran. Of course, don’t forget to subscribe to Cult of Mac TV on YouTube and catch all our latest videos.